Known as the city of Angels, Los Angeles is popular for its various factors like; movies, vibrant culture, and extraordinarily extravagant lifestyle. The place exudes a strange energy which attracts people from all around the world to pay a visit. Considering Life in LA moves at a pretty fast paced manner, it is important to sort out the travelling needs on the priority basis. Renting out Limousine service in Los Angeles would be a greatly wise step. Limousine services proffer supreme elegance and utmost luxury with comfort. At Airport ASAP, we ensure to live up to the expectation and dole out the perfectly satisfactory Limo service to our clients. LA is home to many amazing attractions which makes it a hot spot. The city provides a myriad of day-time enjoyment opportunities along with some incredible sunset attractions which will definitely leave unforgettable imprints on visitor’s mind. Simply hire a Limousine and explore the beauty of this gorgeous city in a relaxed manner. You surely don’t have to be a star to ride in a Limo neither do you need to have billions of dollars to enjoy Limousine service. It feels wonderful to stretch out in comfort and sip a cool drink and relax while on the move. You can get this feel by availing our Limousine service in Los Angeles. Our chauffeur-driven Limousine gives away the perfect impression of a classy and comfortable ride. The spell of luxury – We all love to indulge ourselves and what better way to do that when one is travelling. LA is certainly a land of luxury and to match the spirit of the city, you can drive around in one of the most desirable vehicles; Lax Limousine and create a beautiful memory. Limousine has been the go-to vehicle for the celebrities, royals and the top-notch entrepreneurs of the world. It will give a great feeling to be able to enjoy a classic Limo ride that is so much legendary and historic in its own right. At Airport ASAP, we ensure to make our clients feel the real vibe of Limo with our exceptional service. Comfort is the key – Comfort comes within the package of luxury. At Airport ASAP, we provide the best Limousine service in Los Angeles. We make sure to give you a ride that will be filled with amazing comfort. We understand the fact that travellers opt for a Limousine service with the hope to enjoy the greatest comfort and needless to add we do not leave any stone unturned to make you feel the shine of it in the brightest way possible. A cost-effective service – It is natural for people to look for an affordable option. With Airport ASAP, you can easily get this. We offer some alluring discounts for our corporate service and make it quite a cost-effective choice for business executives. 24/7 ride – A good ride offers a great feeling but you may fail to get it when you need it the most. 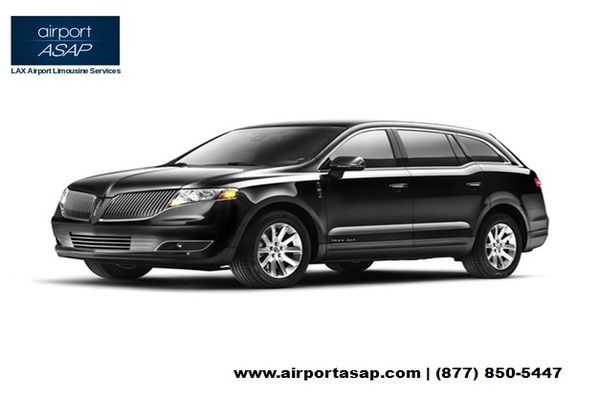 We at Airport ASAP are the best 24/7 provider for Limousine service in Los Angeles. We give the right value of your penny through our outstanding service. So, when that urgent call summons you to head out immediately, trust our 24/7 Limousine service for the finest experience. Hiring Limousine service in Los Angeles is indeed the right plan of action for travelling in a smart way. Travel easy and travel smart with Airport ASAP.